Climate change and antibiotic resistance are two big issues that really worry me. They are both major threats to mankind, and they are pretty much inevitable unless we all make changes. Yet the majority of people carry on without thinking about them. With antibiotic resistance, I think there is a general feeling that most people won’t be affected, but that is not true. Before the dawn of antibiotics, a scratch from a dirty nail could kill you. The ramification that is closest to my heart is the fact that major invasive surgeries will not be possible any more. This means no more open heart surgery, and certainly no transplantation. As my little girl needs more open heart surgery later in life, it is important to me to do something to avoid this situation. The other big medical treatment that won’t be possible is chemotherapy. Antibiotics are given during chemotherapy when the patient’s immune defences are down, so when antibiotics are no longer of use, chemo will be more dangerous. So why don’t the drug companies just make better antibiotics? Unfortunately, it isn’t a financially viable proposition any more. Why spend money developing a drug, when it will only be useful for a few years before bugs develop resistance? A major change in drug technology is needed, but is not on the horizon yet. In the meantime, it is down to each and every one of us to avoid antibiotics unless absolutely necessary. The same way we all need to recycle, reduce single use plastic and use public transport. I’ve had my fair share of sick kiddies, and no-one wants their child to suffer. 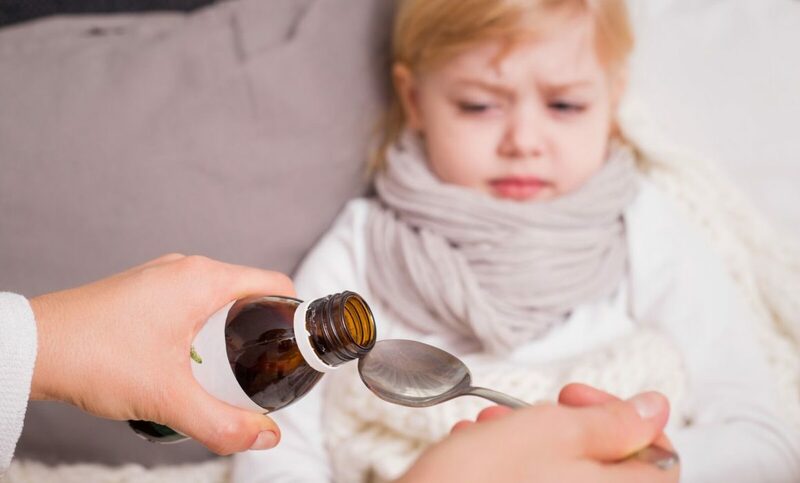 So here I have put together some strategies to help you deal with the conditions that doctors most likely give antibiotics to in children: Upper respiratory tract infections, tonsillitis and ear infections. At the end of the day, in some instances, your child will need antibiotics. But never put pressure on your doctor to give antibiotics, and try to evaluate other options. Focus on prevention, through healthy diet and lifestyle (read how to do this here), and antibiotic use will reduce. This is usually the common cold, but can also be bronchitis or sinusitis. Often, this will be caused by a virus, not a bacteria, so antibiotics will not be helpful. Doctors will sometimes give antibiotics to prevent a secondary bacterial infection. Once you have a respiratory infection, the most important thing to do is rest. If it is a child, they should home from school, and definitely stop doing extra-curricular activities for a few days. The other really important thing to do is to drink lots of fluids. The reason that this is so important is that it keeps all the mucus very runny, so it flows out. If it can’t flow out, it will accumulate as a warm soup, just waiting to get a bacterial infection. If you know others have a cold, or if your child is at day-care, be really scrupulous about hand washing. All you need is soap and water, not antibacterial soap or hand sanitiser. A good dose of Vitamin A. My favourite way to give this is from cod liver oil, and you get bonus vitamin D also. Vitamin C can not only help prevent infections, but can shorten the duration of the infection also. Give frequent doses throughout the day. Zinc will also make a child’s immune system strong, and reduce the duration of an infection. If you don’t want to take a supplement, have lots of high zinc foods like seeds and red meat, or for the adventurous child, oysters! Garlic is amazing when it comes to respiratory infections, and should be eaten as raw as possible. If your child is old enough, you can chop the garlic clove up enough for them to swallow with water. Otherwise, crush and mix with a bit of honey. Make chicken soup and add lots of mucus thinning foods like onion, leeks and garlic. One of my daughters has had tonsillitis twice and it was horrendous, so I can’t imagine how awful it is if your child has recurrent tonsillitis. If it keeps happening, you need to focus on strengthening the immune system, and recovering from the antibiotic already taken. Once your child already has tonsillitis, you obviously want to soothe the throat and reduce the swelling in the lymph glands. If you go to the doctor, get them to take a swab. This will help to determine if it is bacterial or viral, and will also help select the appropriate antibiotics, if they are required. If you need an antibiotic, you want to be sure it is the right one. Drink lots of water, at least a litre a day. You can add a bit of Manuka honey to make it more palatable. Manuka honey is a great anti-bacterial agent. It is expensive, so save it for these therapeutic applications, not everyday use. Another way to get fluids in is through chicken soup, healing and hydrating at the same time. Rest is really important, but so is fresh air. So try to keep the child warm, but exposed to fresh air – windows open, or lying outside in a sheltered area. Often at the first sign of tonsillitis, the ice cream will come out, but this is not helpful. You actually want to avoid dairy including ice cream, cheese, milk, as well as processed food. Instead focus on yummy healthy foods like mango, apricots and berries. If you want your child to have something cold to soothe there throat, puree some frozen fruit and make a healthy slushie. Homemade ice blocks will also soothe, and as well as having tasty ingredients like honey and fruit, you can smuggle in some chicken stock! You may have some helpful spices lurking in your cupboard. Turmeric and ginger are anti-inflammatory and anti-microbial. If you can buy fresh, great, if not just use the powdered form. You can make a mild curry, make herbal tea or even add to the ice block. Cinnamon is another great spice, just pop a cinnamon stick in hot water and leave until cool. The child can then gargle this if old enough, or just sip through the day. You can add powdered cinnamon to stewed apples as a comforting snack. If your child can gargle, add one teaspoon chopped sage and one teaspoon chopped thyme to 150ml boiling water. Let it sit for 10 min, then strain. Use the lukewarm water as a gargle. Do this 2-3 times per day, or just sip. Essential oils are great, in the bath or a spray bottle to keep room fresh. Just be careful because some essential oils aren’t safe for little ones. To break the cycle of infection, change tooth brushes frequently and never share them. If you child is having their first ear infection, you can play it by ear (pun intended). Just help them get over the infection, and ease the pain. It has been demonstrated that antibiotics shorten the duration illness by only a small amount, if at all. For pain relief, use some mullein oil or garlic oil. Garlic oil can be bought in a capsule. Mullein oil can be purchased from a health food shop. Put a few drops in the ear (not if the ear has perforated). This will reduce the swelling and therefore the pain. My favourite treatment is the onion earmuffs! Cut an onion in half and bake at 160C for about 12-15 minutes. Let the onion cool down enough to handle, wrap in a cheese cloth, and stick a fork in each half. Hold the flat side of the onion near the sore ear for 5 minutes, obviously keep it far enough away from the ear so as not to be uncomfortable, and move it closer as it cools. Hold it there for 5 minutes, and do this 3 times a day. The fumes from the onion are anti-microbial and anti-inflammatory. To fight the infection, give Vitamin C, zinc and garlic. Avoid foods that produce mucus like dairy, white flour and bananas. If your child has recurrent ear infections, than you need to ask why. One of the most common reasons is allergens. To find out if this is the case for your child, you can do an elimination diet, or do a blood test. The straightforward removal of irritating foods can make the world of difference. The other nifty little trick is to help the Eustachian tubes to drain, so the soupy mucus can’t sit and get infected. A few ways to do this is to blow up balloons or blow bubbles in a drink or the bath. If your child does need antibiotics, then support their gut health during treatment as well as after treatment. You can do this with probiotics, fermented food and prebiotics. It takes from 18 months to 4 years to recover from a course of antibiotics, and repeated courses will make this time even longer. So spend a little time weighing up the pros and cons of taking a course of antibiotics.